The proportion of homes let by an international landlord in Great Britain halves from 13% in H1 2010 to 6% in H1 2018. 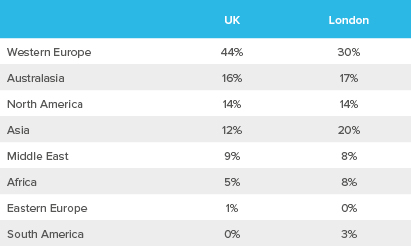 More than one in ten London homes (12%) were owned by an overseas based landlord in H1 2018. 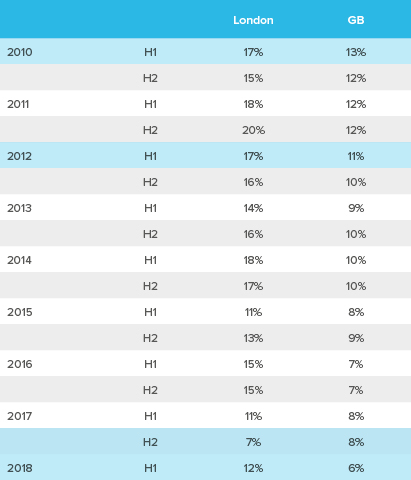 This is up 5% since H2 2017, but remains down from a peak of 20% in H2 2011. 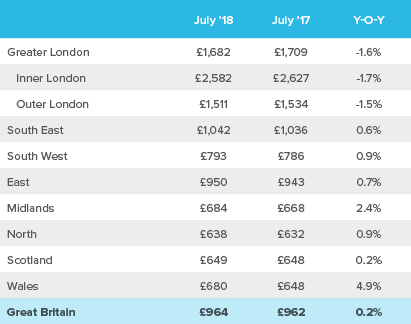 The average cost of a new let in Great Britain rose to £964 pcm in July 2018, up 0.2% year-onyear. London has seen a pickup in international based landlords this year. The proportion of London homes let by an overseas landlord peaked at 20% in H2 2011, but fell back to 7% in H2 2017 – the lowest point on record. However, unlike the GB average, London saw a 5% rise in the proportion of homes let by an overseas landlord between H2 2017 and H1 2018. (table 1 above). Where are overseas landlords based? The housing headlines over the last decade have been consistent – the country is split in a North-South divide. 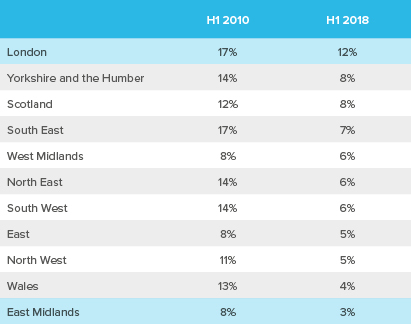 House price growth in London and the South has slowed, while the North has won out. 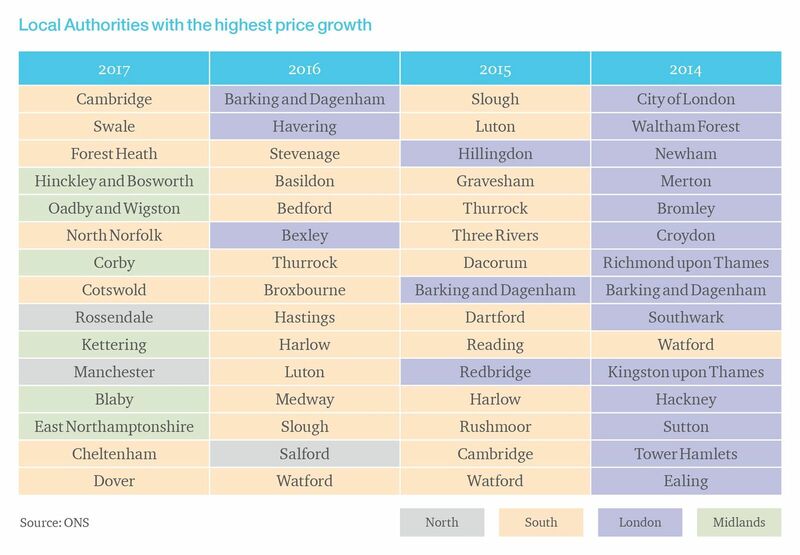 Between 2016 and 2017 we saw a shift in price growth from South to North, with most regions in the Midlands and the North overtaking those in the South (table 1). In London for example prices in 2017 rose by 3.1% (down from 10% in 2016), while in the North by 3.6% (4.4% in 2016). The simple truth is that affordability issues combined with onerous tax changes have forced many would-be London buyers to look further afield for a new home, and investors to seek out northern cities with strong investment potential where they feel there is more growth to come. As an investor network based in the North which attracts members that are looking for opportunities in the North, the InvestorsForum York is a first-hand witness to the benefits of the ‘North-South Divide’, which is clearly evident and is driving a thriving investment market in this popular location. While the North-South gap is narrowing, the North still has some catching up to do offering yet further potential to investors who want to test it out. House prices in the South currently average £335,500 while some areas of the North East remain below pre-crash levels.